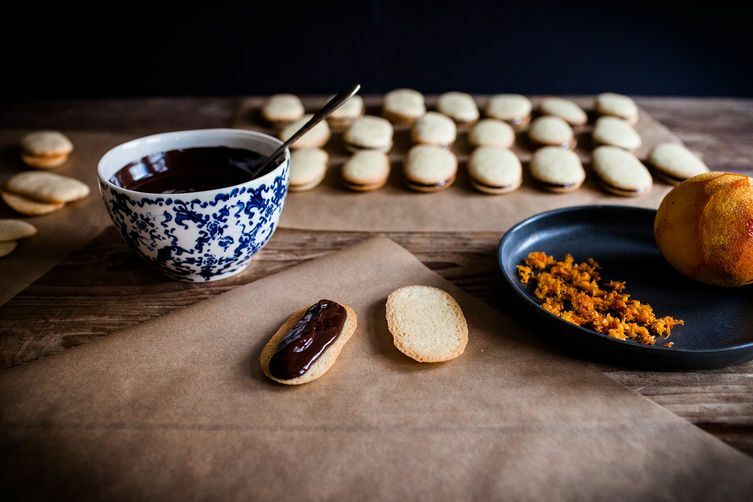 Today: Carey Nershi of Reclaiming Provinicial is sharing a recipe for cookies that are as elegant and sophisticated as you are. I have eaten more Milano cookies in my lifetime than I care to admit (and Brussels, too). I'm sure I'm not the only one with a weakness for crisp, buttery cookies sandwiched around chocolate. Several years ago, I set out to find a homemade version of the Milano. I first stumbled upon a recipe for airy cookies, made mostly from egg whites, sandwiched with chocolate ganache. They were very tasty in their own right, but not quite what I was craving. Then, Martha came to the rescue with a recipe that was more biscuit-like -- exactly the Milano I was looking for. 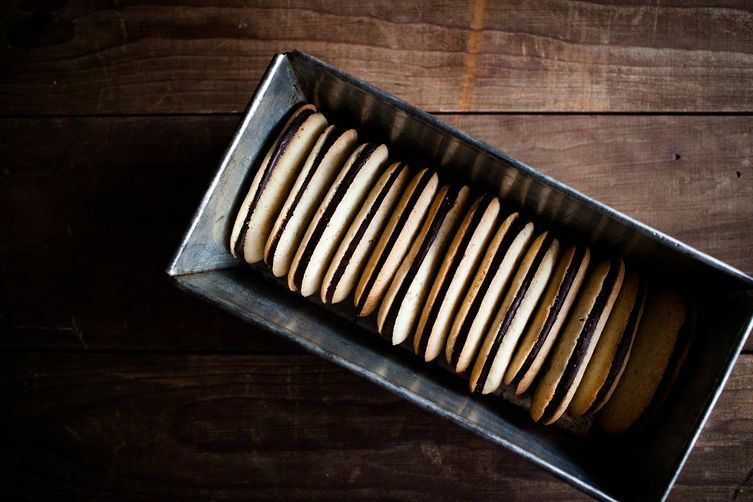 More: Recreate all of your other favorite cookies, starting with graham crackers and Fig Newtons. These cookies take a little bit of time to put together, but they’re well worth the effort. And adding a little bit of orange zest in the last step makes them even better. This recipe yields a lot of cookies, but any extras will keep well in an airtight container in the freezer. 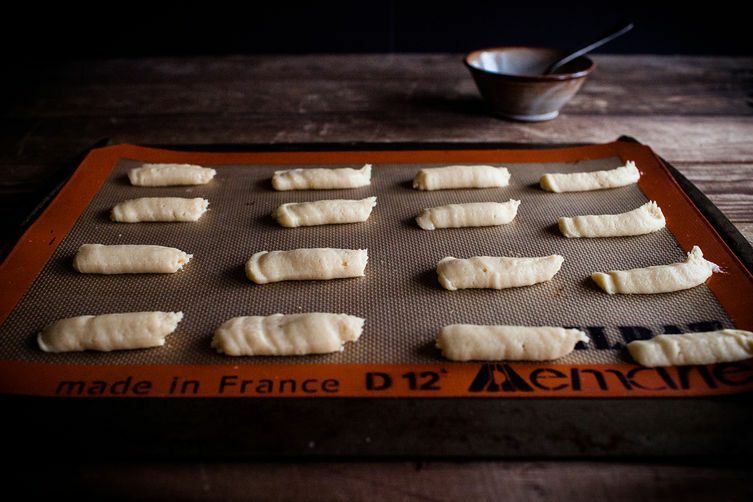 Preheat oven to 325° F and line two baking sheets with parchment paper or Silpat mats. Combine the flour and the salt and set aside. 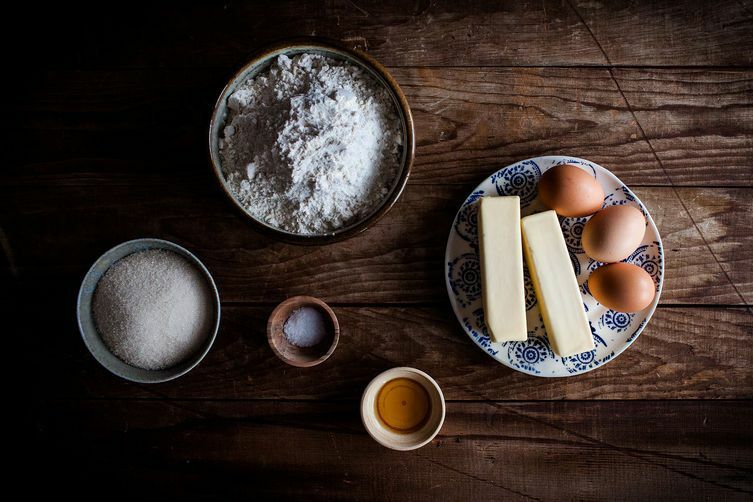 Cream the butter and sugar together in a large bowl. Add in the whole eggs and the egg white, then the vanilla, and continue to beat on high until the mixture is light and fluffy. Lower the speed and gradually beat in the flour mixture until just incorporated. Transfer the batter to a plastic bag with a 1/2-inch hole snipped in one corner. Pipe the batter into 2 inch-long strips. Bake for 13 to 15 minutes, or until the edges of the cookies have just begun to brown. Remove the cookies from the oven and let them cool on the baking sheet for 5 minutes. Transfer them to cooling racks and allow to cool completely. Arrange cookie halves in pairs of similar shape and size. Melt the chocolate in a double boiler (or a fake double boiler) until smooth, then remove from the heat and let cool for 10 minutes. Spoon the chocolate onto one cookie half, and sprinkle on a pinch of orange zest. Gently press the other half on top until the chocolate just reaches the edges. Repeat with the remaining cookies and let the sandwiches sit until the chocolate has set. Any extra cookies will keep well in an airtight container in the freezer. Lover of simple food and cocktails served with a single giant ice cube. Raised in the NY Schoharie Valley; currently residing in Burlington, VT. Blogger at reclaimingprovincial.com. I'm confused. "Extra" cookies? What is an "extra" cookie? Where can you find that groovy scale? I have a ridiculous question: I accidentally combined the flour and sugar instead of flour and salt. Can I continue or is it imperative that sugar gets creamed with the butter from the start (i.e. I have to throw out all this flour and sugar)? I made these today and they came out very good, although I may have overbeat the dough because the cookie part seemed a little dense. Have you ever tried adding another egg white to make cookies a little crispier? It took me a few batches to get the hang of piping these, but then it was easy. The flavor was wonderful with the chocolate and orange. Thanks. Does this make 3 1/2 dz. cookies after they have been assembled or before? Thanks. I haven't tried these yet but there is no mention on the best way to split the cookies. I can imagine it might be a little tricky as they look rather fragile. Any suggestions from anyone who's made them? You don't split them. You use two cookies. In this recipe, each one as baked is consideed a half of a sandwich cookie. Think this dough is freezeable? 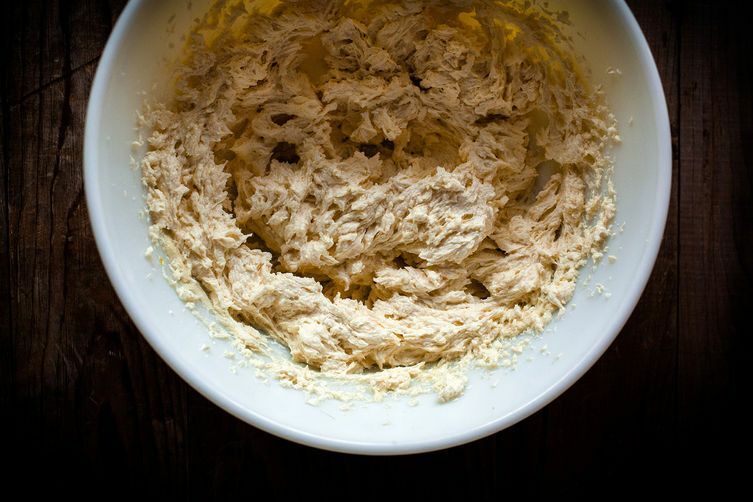 Seems like you might lose some of the texture, but I'd love to be able to prep the dough ahead of time. Although I haven't tried it myself, I think the dough should stand up to freezing. Thinking about doing "flax eggs" for a replacement for the eggs. But any ideas for a replacement for the egg white? Maybe I'll just do 3 flax eggs? I think 3 flax eggs would probably work just fine. If you give it a try, let me know how they turn out! gawd, you must've been hawking the oven to make sure these babies don't burn, they are such perfection! Oh, you delightful human being...thank you, Carey!! You clearly have GREAT taste in every sense! YES yes yes!!! How are these so perfect?! 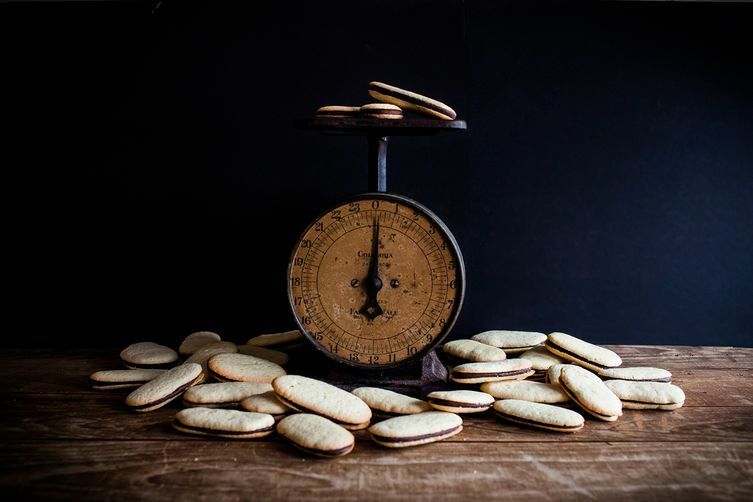 Have had an ongoing love affair with Milano cookies since childhood! Did you try these with the mint glaze too, and just preferred them without? I have yet to try them with the mint glaze (I was always partial to plain or orange), but I'm sure it's delicious! Yummy! Plus no palm oil (shudder). Thanks! OH, not another cookie recipe.... Thank you so much! YUM!!!!!! I cannot wait to make these. eeeeek!!!! thank you for posting this! :D Perfectly dangerous too. Empire waist dresses until my pants fit again.